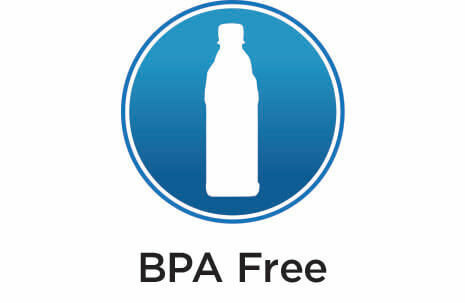 News - Better Choice Beverage Co.
Last week Icelandic Glacial sent 181,440 bottles of water to the Food Bank of Eastern Michigan in support of a nationwide effort to support the city of Flint during its ongoing contaminated water crisis. 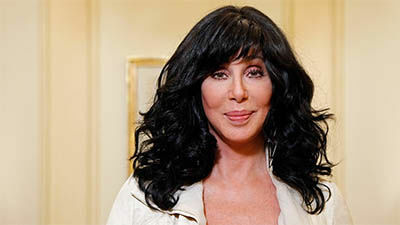 This particular donation came out of an unlikely partnership between the premium bottled water brand and famed singer, actress and activist Cher. Icelandic Glacial co-founder Kristjan Olafsson personally assisted with the drop-off, according to company CEO Reza Mirza who discussed the partnership with Cher in a call with BevNET. Doing something to help. Cher is offering assistance to the people of Flint, Michigan, whose water supply has been contaminated with lead since 2014. The singer wants to make sure that the town's 100,000 residents have access to clean water and has teamed up with Icelandic Glacial to donate 181,440 bottles of water to the city. "This is a tragedy of staggering proportion and shocking that it's happening in the middle of our country," Cher, 69, said in a statement Saturday, January 16. "I am so grateful that Icelandic Glacial has come on board to help the city of Flint. I cannot wait for the water to get there to help these people who have been poisoned because the water they've been getting out of their taps has been polluted for so long and remains that way without the state or federal government stepping in with any substantial plan to resolve this problem." Icelandic Glacial has committed to doubling Cher's purchase and the water is being trucked into Michigan beginning Monday, January 18. The empty bottles will later be recycled, with money going back to local food banks. Flint's drinking water became contaminated in 2014 after the city temporarily switched its supply source from Lake Huron to the more corrosive and polluted Flint River in a cost-cutting move. Lead, which causes brain damage and other health problems in children, leached into the town's water from pipes. Despite residents complaining about the water, and a pediatrician presenting a report about elevated levels of lead in the blood of children living in Flint, the problem was not publicly acknowledged until October 2015. Michigan Governor Rick Snyder declared a state of emergency January 5, and on Saturday afternoon, President Barack Obama declared a federal emergency in Flint, freeing up to $5 million in federal aid, the Detroit Free Press reports. The money will go toward water filters, filter cartridges and other items for residents. Filmmaker Michael Moore, a former Flint-area resident, returned to his hometown on Saturday to insistthat the president visit Flint to see the scope of the crisis for himself. The Associated Press reports that Moore also asked for the U.S. attorney general to arrest and prosecute Governor Snyder because he "knew that toxins, pollutants and eventually lead was leaching into water and being sent into the taps of people's homes." Paris, France (December 7, 2010) – Parfums Christian Dior and Icelandic Water Holdings ehfhave announced that Dior will exclusively useIcelandic Glacial to hydrate its skincare cosmetics products because of its optimal biological properties including brightening efficacy. 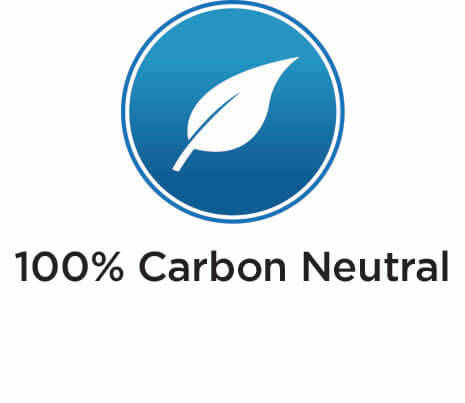 As the world’s first CarbonNeutral® certified bottled spring water for both product and operations, Icelandic Glacial delivers a water of exceptional purity to consumers with a “net zero” carbon footprint. Icelandic Glacial’s water hails from Iceland’s pristine Ölfus Spring, a naturally replenished catchment zone formed during a massive volcanic eruption more than 4,500 years ago, and which has been deemed certifiably sustainable by Zenith International, Europe’s leading food and drinks consultancy. The company, an environmental pioneer in the industry, uses 100% natural green energy in the form of geothermal and hydroelectric power to fuel production. “For the first time, we have decided to take care of an inert ingredient present at strong concentration in cosmetic formulations: water, and have decided to replace it by a cosmetic active ingredient, Icelandic Glacial water. We are very proud of the results obtained” said Claude Martinez, President & CEO of Parfums Christian Dior. The first Dior skincare products infused with Icelandic Glacial water will be officially launched in 2012, with pilot productions in 2010 and 2011. Dior, an international company: 32 subsidiaries in 5 continents, 2 industrial sites and 1 research center, more than 8,600 employees, more than 25,200 points of sale worldwide? With its 40 years of research, Dior Skincare has been able to gain women’s trust and assure the legitimacy and scientific credibility of its products. Linking scientific know-how to the pursuit of beauty is the key to these products whose simplicity allows them to remain timeless. Contributing to the enchantment of women through innovation and high standards of quality, developing products with unparalleled efficacy and creating incredibly pleasant textures: these are the missions of our researchers. The research surrounding stem cells and the rare natural substances found in the biodiversity of the Dior Gardens are the secrets of the entire Dior Skincare range. 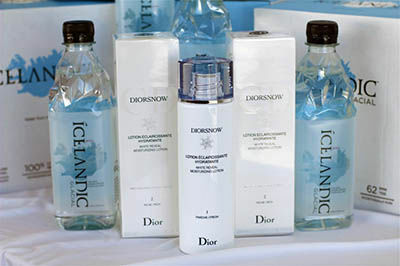 DIOR TO USE ULTRA-PURE POLLUTION-FREE ICELANDIC GLACIAL WATER IN ITS PRODUCTS, WHAT KIND OF WATER IS IN YOUR SKINCARE? Dior has just announced that it has partnered with Icelandic Water Holdings - the luxury cosmetic company's 2012 Diorsnow line will be formulated using Icelandic Glacial water, which is 100% pollution-free and one of the purest waters on earth. 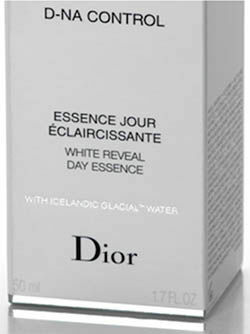 "Icelandic Glacial Water has proven in our labs its power not only to counteract the production of melanin in skin cells, but also to act in favour of all skin transparency," said Edouard Mauvais-Javis, Scientific Communication Director for Dior, in a statement. "it is so effective and so complementary to our core active ingredients that we have decided to replace 100% of the water in our formulas by Icelandic Glacial water to reach new levels of effeciency and pleasure in the whole Diorsnow range." Have you ever thought about what kind of water is used to make your skincare products? Icelandic Water Holdings ehf, makers of the award-winning CarbonNeutral® natural spring water Icelandic Glacial, announced today that the source of their super-premium bottled water has been deemed certifiably sustainable by Zenith International, Europe’s leading food and drinks consultancy. 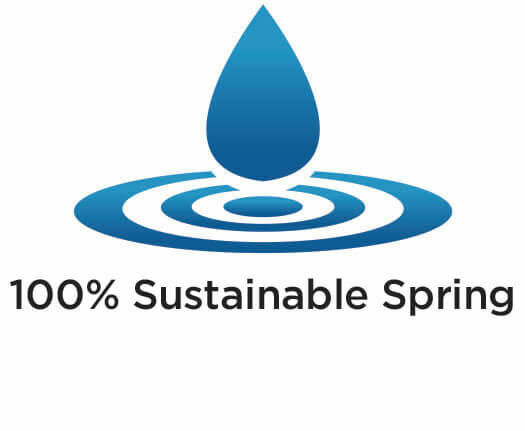 As the world’s first CarbonNeutral® certified bottled spring water for both product and operations, Icelandic Glacial delivers a water of exceptional purity to consumers with a “net zero” carbon footprint. The company uses 100% natural green energy in the form of geothermal and hydroelectric power to fuel production. Icelandic Glacial’s water source is Iceland’s Hlíðarendi Spring, part of the Ölfus Spring System, a catchment zone formed during a massive volcanic eruption more than 4,500 years ago. Ölfus Spring is a renewable resource, replenished annually by infiltration of rainfall and snow melt over uninhabited lava fields. Ninety-nine percent of the Ölfus flow releases to the sea below mean sea level. The only outflow to surface water is at Hlíðarendi, where a pond collects spring discharges which then flow for two kilometres before disappearing underground. It is from this system that the Icelandic Glacial water is taken. Icelandic Glacial has been declared truly sustainable because it doesn’t deplete or permanently damage the source from which it’s abstracted. Icelandic Glacial does not pump water from the spring, but collects what flows naturally to the ground surface, using an estimated 0.1% of the total spring flow annually. The small Hlíðarendi surface water system is protected by making up the harvested water with water from a nearby aquifer. At last year’s World Water Forum in Istanbul, plans were set for creating an official “Sustainable Water” certification program. Global standards are slated to be in place by 2011. “The source of Icelandic Glacial water meets all hydrological criteria for sustainability and will, in our opinion, meet global certification requirements when they are published in 2011,” remarked Duncan Finlayson, Director at Zenith International, which has been evaluating the spring system since 2005 and is a leading hydrogeological consultant to the global beverage industry. In addition to being carbon neutral and from a sustainable source, Icelandic Glacial’s label and plastic bottle are 100% recyclable. For more information about Icelandic Glacial, visit www.icelandicglacial.com. Since the 1990s, Zenith International has been recognised as Europe’s leading food and drinks consultancy. Zenith International has over 1,000 clients across more than 50 countries. The company’s main activities involve comprehensive market analysis, strategic and commercial advice, financial and technical consulting projects, information services, and event organisation.